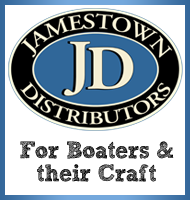 ….Michigan Fiberglass Plastics, Inc., a short-lived boat building concern here in Holland (1960-1961) and Borculo (1962-1963), was started by Lawrence Valentine Meyering, originally from Chicago and a former lawyer and banker turned manufacturer from Zeeland…. …. After about a year of trial and error and bills piling up, Meyering vacated the building and moved his operation to two rented buildings in Borculo where he expanded the companies offerings to include not only the Lake ‘n Sea speedboat, but also canoes and a small sailboat model called the Super Porpoise. The company remained there until being purchased in 1963, along with its inventory, by Grand Rapids businessmen Richard Levy and Morrie Kleinman…. my frustration with the Super Porpoise is going to be the difficulty in getting replacement parts… for example, a brand new recreational sail (not class legal, non-racing) can be had for the Sunfish for about $150, but to get a new sail for the Super Porpoise, I got a quote from a sail shop for $375… just a tad more (dripping with sarcasm…). I suppose I could just take the cheap route, and buy the cheap new Sunfish sail, but the Sunfish sail is smaller (75 square feet) and the Super Porpoise hull is 15 to 20 lbs heavier, so I’d be losing that little bit of extra power from having the larger original sail. ooops also need the tiller. 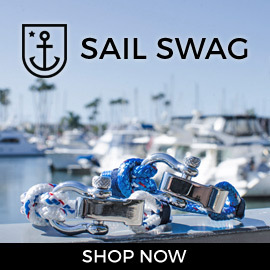 are you looking for a Sunfish rudder or a Super Porpoise rudder and tiller? used Sunfish parts are going to be MUCH easier to find. 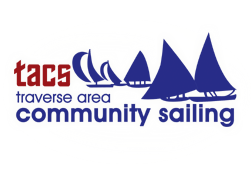 I would try asking your questions at the Sunfish Forum or the Sunfish Yahoo Group – both sites have members who like to keep a stockpile of used supplies to trade/sell to other sailors. after that, I’d start looking around on craigslist, maybe even posting a wanted ad to see if anyone has one they’d sell you (depending on your location, winter isn’t always the best for finding sailing things on craigslist). I usually avoid ebay, personally. I just had some work done on our vacation home in Canada and the roofers put two large holes in the hull of my Super Porpoise to the point where it will not be repairable so sometime before Spring 2012 when we head back to Canada I will be able to retrieve the daggerboard, spars, and tiller and sell these parts if anyone is interested….I may be reached at wpvan01@att.net. Bill, what a shame! Once you retrieve the parts, I would try to post them in the “for sale” section at the Sunfish Forum. and make it work on a standard sunfish?? Bajabob, I’m not sure that my Super Porpoise parts are necessarily original, but I just measured the mast diameter, and it’s pretty much the same as a Sunfish mast, so I would think the mast could be interchangeable. La Paz.. A perfect place Sunfish boats. the coming weeks ready for spring break in April. Any ideas on learning all about sunfish? In the early 1970’s I placed first in two of their national championships. Email me maybe I can help. John, that’s pretty wild – I didn’t realize they were big enough to have a championship! I’d certainly appreciate any information you can share – pictures, rigging tips, etc. Where were these held? My dad sailed in the National Championships about that era as well! !